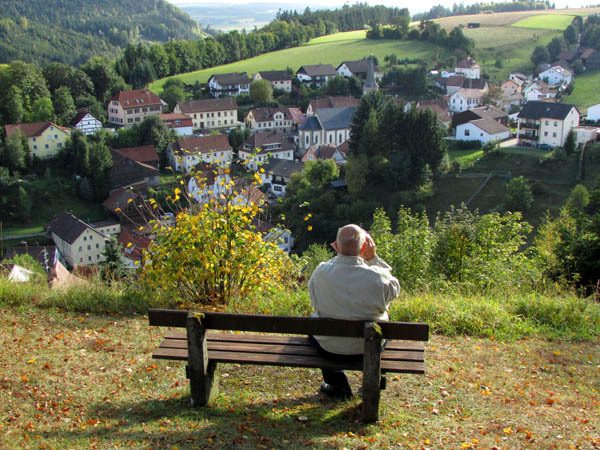 Ken Temple of New York looks over his ancestral village of Wartenfels, Bavaria, Germany. His Tempel ancestors left here in 1866. 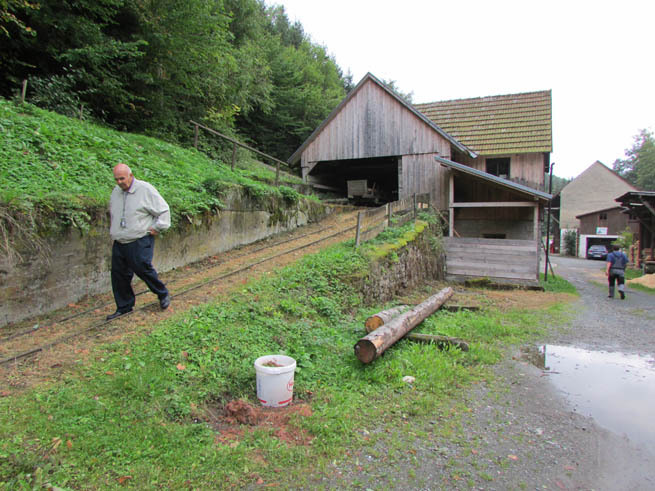 Ken Temple walks out of the sawmill ‘Boxmühle’ on the edge of Wartenfels. There is a possible ancestral connection to this old mill. A local historian, Reinhard Bauerfeind, met with us spent nearly four hours explaining the history of the village and the reasons behind the emigrants’ decision to leave. Poverty, mainly, and large families with not enough land and property to go around. This is a poor region and the farmland is not optimal. America was always seen as the land of limitless opportunity. Herr Bauerfeind also explained what the name ‘Wartenfels’ means, which is warte – castle and fels – rock. Castle on a rock. There was a castle here but it was destroyed by soldiers acting on orders from the city of Nurnberg after the inhabitants, low aristocrats who had taken to thievery, stole one too many shipments of goods destined for merchants in the area. 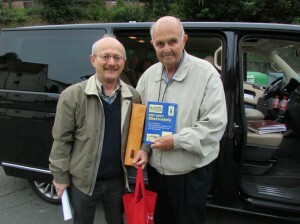 Reinhard Bauerfeind, left, and Ken Temple. 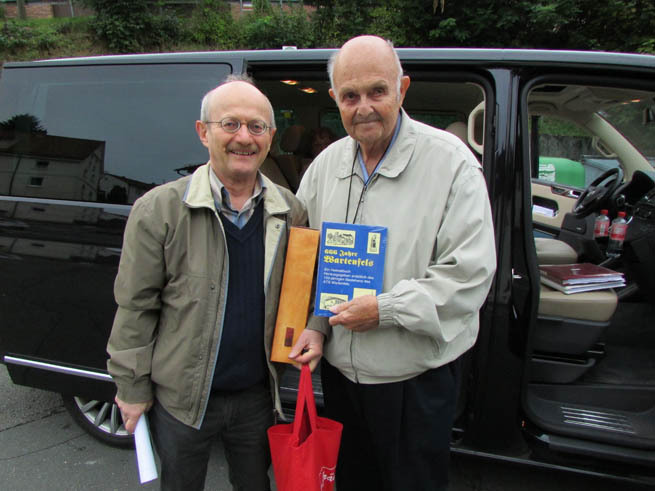 Ken had just been presented with a complimentary copy of the town history, co-authored by Bauerfeind. Posted in Family History Tours and tagged ancestry, family, germany, history, tempel, temple, wartenfels.